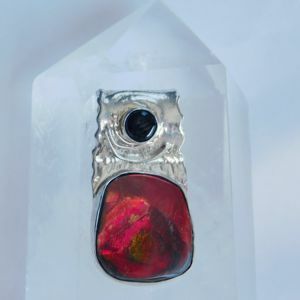 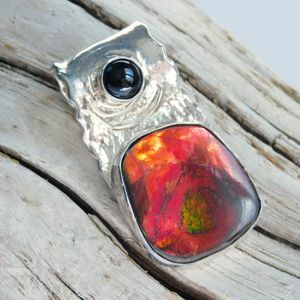 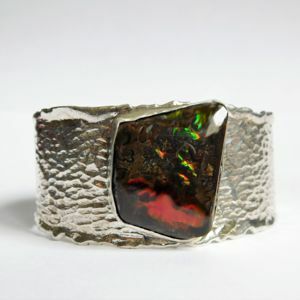 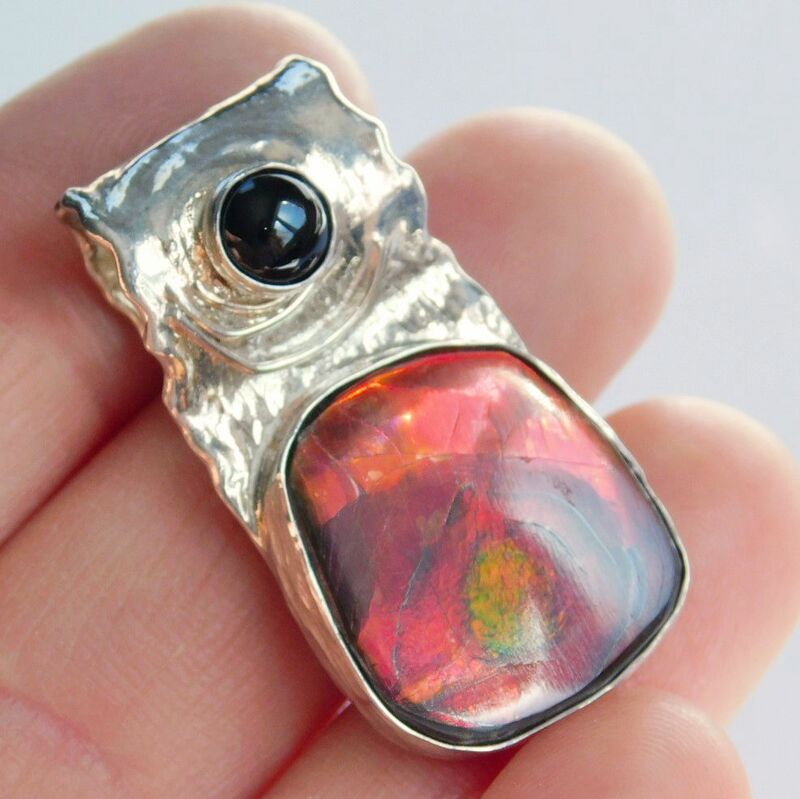 Inspired by the fiery red Ammolite gem, I created this hot pendant. 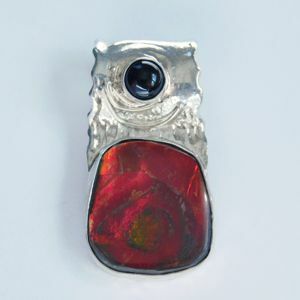 I fused the edges of my sterling silver and added a 5 mm Onyx cabochon to balance the colour. 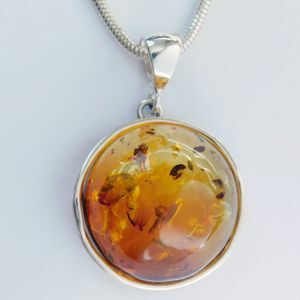 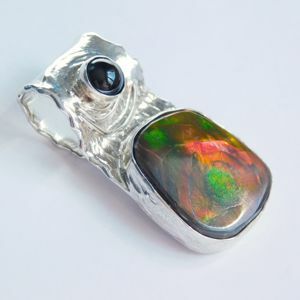 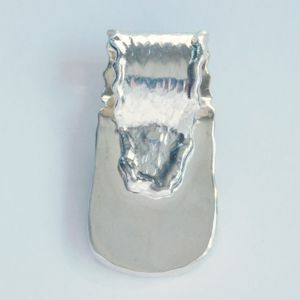 The pendant measures 35 x 19 mm and the Ammolite gem is 19 x 17 mm. 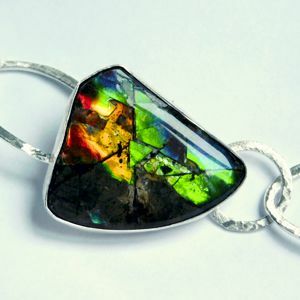 Excessive heat and acid can weaken stability and iridescence.